February 3, 1959, was a tragic day for rock and roll music. 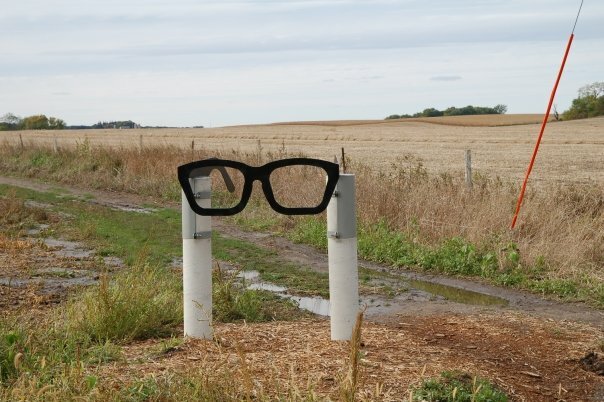 Four lives were lost on that cold winter night near Clear Lake, Iowa: the lives of Buddy Holly, Ritchie Valens, J. P. “The Big Bopper” Richardson, and Roger Peterson, the pilot that was supposed to take them to Fargo. Later, this day became known as “The Day the Music Died,” after the lyrics in Don McLean’s 1971 song “American Pie.” So how did the accident happened? 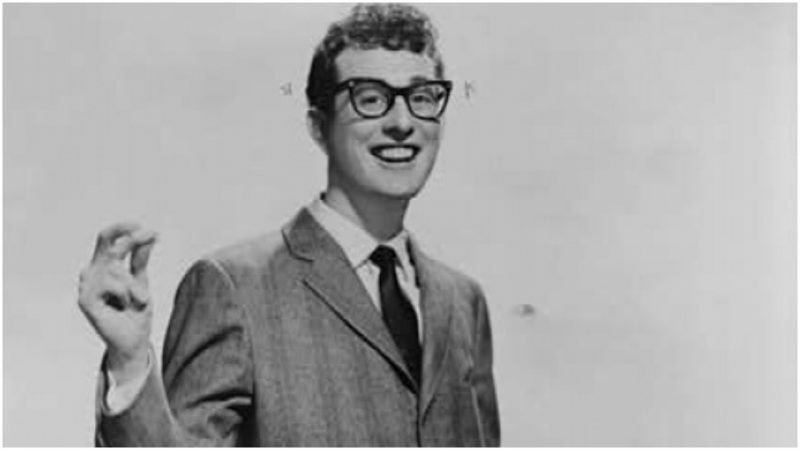 It all started with Buddy Holly leaving his band the Crickets in November 1958, to go to New York and be more active in the publishing and recording businesses. Soon after this, Holly planned his “Winter Dance Party” tour; a winter tour through the northern Midwest. For this purpose, he made a band together with Waylon Jennings (bass), Tommy Allsup (guitar), and Carl Bunch (drums), with the supporting vocals of Frankie Sardo. Few other musicians joined the tour as support artists, among them Ritchie Valens (La Bamba), J. P. “The Big Bopper” Richardson (Chantilly Lace) and Dion DiMucci and his band The Belmonts. Their first gig was in Milwaukee, Wisconsin, on January 23, 1959, and even at the beginning, it seemed that organizing all the trips to different cities will be a logistical nightmare. The tour manager failed to properly schedule all the shows and leave enough time for traveling. Another problem was their tour bus, which was not suitable for the cold weather. The heating broke down, and flu started to spread among the artists very soon. In an effort to make their journey more comfortable, they found a school bus and continued with the tour. Nobody suspected what will happen next. On Monday, February 2, the tour bus arrived in Clear Lake, Iowa. This detour was not part of the scheduled gigs, but the tour promoted wanted to fill a free date on their calendar and contacted the manager of a local venue. Carroll Anderson, the manager of the Surf Ballroom, accepted and booked the show for the night. In the meantime, Holly was frustrated by the conditions on the tour bus and decided to get himself a charter flight to Fargo, North Dakota, after the Surf Ballroom show. He hoped to take a short break and rest before he rejoined the tour in Moorhead, Minnesota. 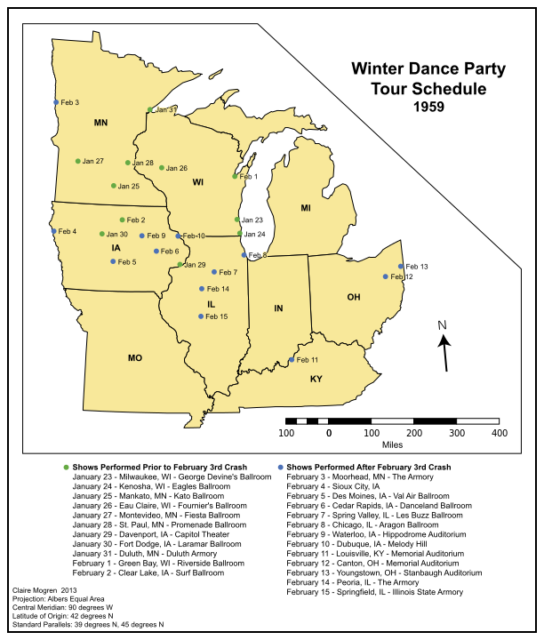 Anderson, the Surf Ballroom manager, organized him a flight with the Dwyer Flying Service, a company in Mason City, Iowa. 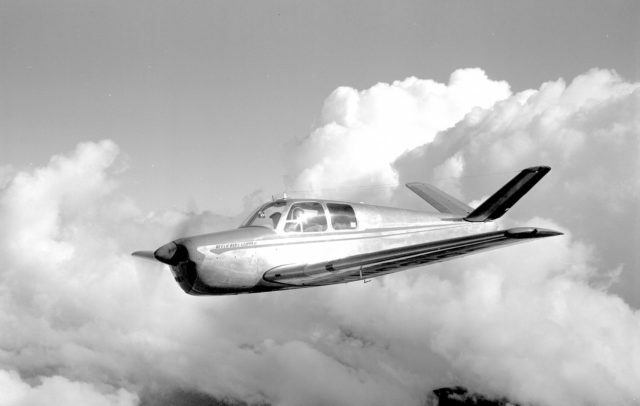 He booked a flight on a 1947 single-engined, V-tailed Beechcraft 35 Bonanza, which could seat three passengers plus the pilot. The designated pilot was Roger Peterson, a 21-year-old local boy with experience of 711 flying hours. The flight price was $36 per passenger. The artists started to make arrangements about who would take the remaining two seats on the plane. Richardson had the flu, so he wanted to take a break from the tiresome bus journey. He asked Waylon Jennings for his seat, and Jennings gave it to him. When Holly heard about this, he jokingly said to Jennings: “Well, I hope your ol’ bus freezes up.” Jennings immediately responded: “Well, I hope your ol’ plane crashes.” He remembered this remark for the rest of his life. 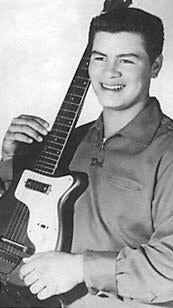 Another deal was made between Ritchie Valens asked Tommy Allsup. They decided to toss a coin, a game of chance in which Valens won the seat. The show ended, and Holly, Valens, and Richardson were taken to the Mason City Municipal Airport for their flight. The weather reports for the time of departure looked fine, but bad some bad weather was reported on their route. This report was never received by their pilot. They took off at exactly 00:55 Central Time on Tuesday, February 3, without any complications. Their take-off was seen by the owner of the Dwyer Flying Service. He stated that the tail light of the aircraft was visible for almost the whole time during their tragically short flight. The plane made an initial left turn, climbed to 800 feet, and then the tail light started to lose altitude until it fell out of sight. Five minutes later, Peterson failed to make the initial radio call; Dwyer tried calling back but without any success. Later in the morning, there was still no call from Peterson and Dwyer decided to take another plane and fly on the same route. A few minutes after he took off, he found the wreckage, only six miles northwest of the airport. The local sheriff drove to the cornfield where the plane crashed and made a report. The plane had hit the ground at high speed with its nose down. The right wing tip struck first and made the plane roll across the cornfield for about 540 feet. The plane stopped when it reached the wire fence at the end of the field. The lifeless bodies of the passengers were immediately found. Buddy Holly and Valens were thrown out of the plane and found near the wreckage. 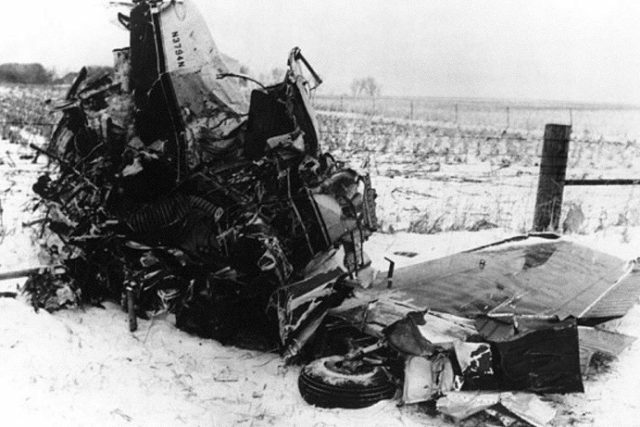 Richardson was found over the fence in the neighboring field, while Peterson’s body was trapped inside the wrecked fuselage. The coroner stated that all of the four victims died on impact. News about the terrible accident spread fast and soon reached the families of the victims. María Elena, Holly’s pregnant wife, heard about the death of her husband from the TV news reports. She was devastated, and soon she suffered a miscarriage because of psychological trauma. She became a widow after only six months of marriage. While families and friends were grieving and burying their loved ones, the”Winter Dance Party” continued; Waylon Jennings and Tommy Allsup continued playing for the next two weeks. Jennings took Holly’s place as lead singer. This was a great loss for the families of these remarkable people, but also to the world of music. Since 1979, fans of Holly, Valens, and Richardson have been gathering for annual concerts at the Surf Ballroom in Clear Lake, in the memory of the early departed artists. There are also a few songs written about this tragic event: Eddie Cochran’s “Three Stars” (1959) is the first song on this subject, but Don McLean’s American Pie” (1971) became the most famous. 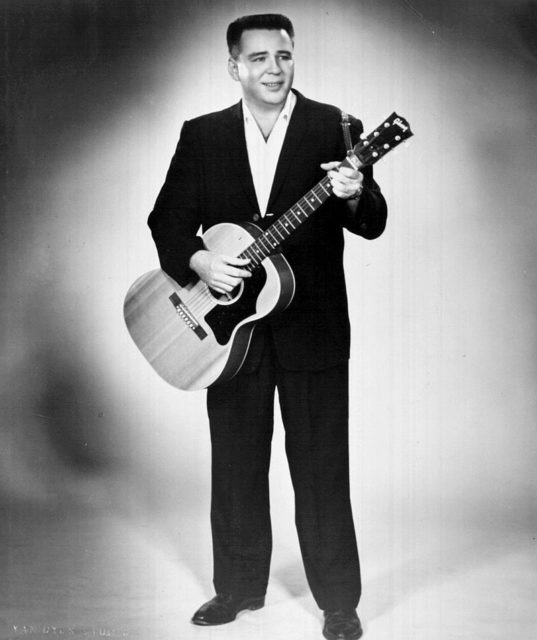 McLean explained that his words “the Day the Music Died” refer to the end of a great era of early rock-and-roll musicians.